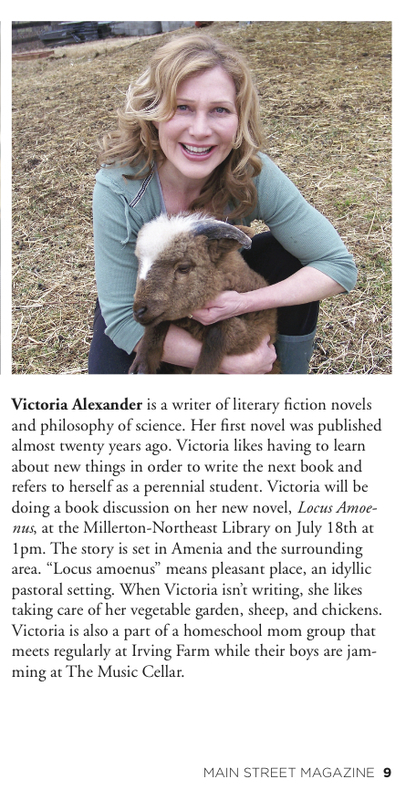 Amenia–Local novelist Victoria N. Alexander will be promoting her new novel, “Locus Amoenus” at the Amenia Free Library book fair on Saturday, June 13th, from 10 a.m. to noon. This entry was posted in 2015 Press: reviews / interviews / features, literary fiction, politics and tagged #9/11novel, 911 fiction, 911 novel, amenia ny, Big Agriculture, Big Pharma, childhood obesity, weapons industry, wellness plan on June 15, 2015 by VN Alexander. 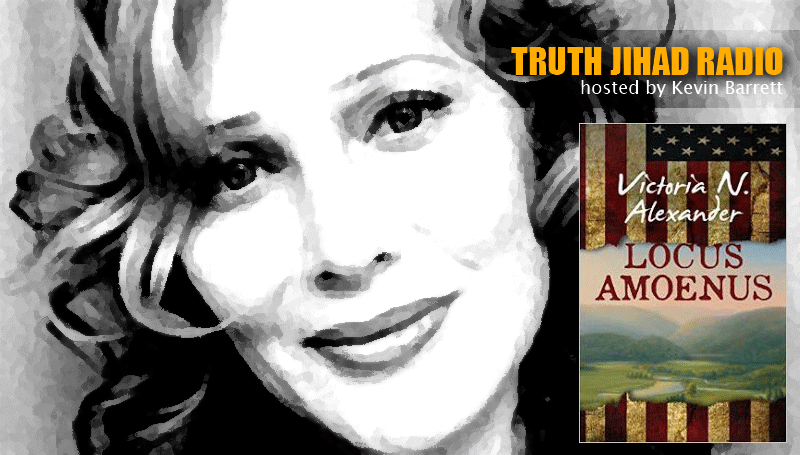 “There are several 9/11 truth thrillers in print. But until now, the only 9/11-truth-themed novel of high literary quality was Thomas Pynchon’s Bleeding Edge. Victoria N. Alexander’s new novel Locus Amoenus is the best fictional treatment of 9/11 yet. It’s hilarious, darkly ironic, playful, deeply moving – and stands as an explosive controlled demolition of post-9/11 American culture. This entry was posted in 2015 Press: reviews / interviews / features, literary fiction, politics and tagged #bleedingedge, #kevinbarrett, #thomaspynchon, 911 fiction, 911 novel, amenia ny, Big Pharma, book review, conspiracy theorists, political satire novel on June 8, 2015 by VN Alexander. Victoria N. Alexander has constructed a clever and engaging novel loosely based on Shakespeare’s masterpiece, Hamlet. This dark comedy revolves around the tragedy of 9/11. Alexander has several novels to her credit, as well as a work non-fiction, The Biologist’s Mistress: Rethinking Self-Organization in Art, Literature, & Nature. She is also working on a comedy screenplay about a high security dystopia. Hamlet’s father has apparently died in the collapse of the twin towers, and Hamlet and his mother Gertrude move to a rural village, Amenia where the residents are suspicious of strangers. The town suffers from an epidemic of obesity, because of a local connection to big agriculture farms…Read more. This entry was posted in 2015 Press: reviews / interviews / features, literary fiction, politics and tagged #militaryidustrialcomplex, #thepermanentpress, 911 fiction, 911 novel, amenia ny, Big Agriculture, childhood obesity, conspiracy theorists, literary fiction, weapons industry on June 1, 2015 by VN Alexander. This entry was posted in 2015 Press: reviews / interviews / features, literary fiction and tagged 9/11, 911 fiction, 911 novel, amenia ny, Big Agriculture, Big Pharma, childhood obesity, controlled demolition, sustainability, weapons industry on May 13, 2015 by VN Alexander.